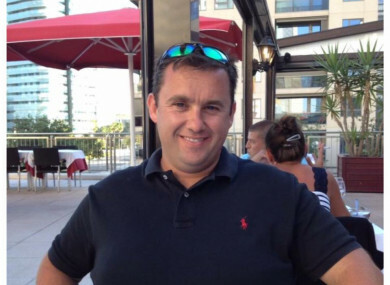 AN OFFICER WHO helped investigate the murder of Jason Corbett has testified that he took a photo showing strands of blonde hair intertwined in the right hand of Jason Corbett. Frank Young, an officer with the Davidson County Sheriff’s Office, took the photo. The photo was shown to the jury on multiple occasions. Young is the first witness to testify that he saw the blonde hair in Jason Corbett’s hand. Doctor Craig Nelson, the pathologist who performed the autopsy and paramedics at the scene previously testified that they had not seen any blonde hairs. Young testified that he did not know the source of the blonde hairs. Investigators have cast doubt on that defense. Authorities say Jason Corbett was planning to leave Molly Corbett – his second wife and former nanny to his children – and return to Ireland. During his opening statements on 25 July, defence lawyer Walter Holton emphasised pictures, including a picture of Jason Corbett allegedly clutching blonde hair in his hand. Holton also wondered what happened to the hair and questioned why it wasn’t entered as evidence. Nelson testified earlier that he was not asked to test fingernail clippings from Jason Corbett during the autopsy. He also testified that the body bag had “an abundant amount” of blood in it, which could wash away an object. Holton asked Young several questions about his knowledge with strangulation cases. Defence lawyer David Freedman then asked Young if the hairs could have been preserved by bagging Jason Corbett’s hands, to which Young replied, “Yes, sir”. Young testified that he took photos of Molly Corbett that showed blood on her hairline, cheek, brow line and behind her ear. The officer said it appeared to be dry blood, but added that it was not tested or entered into evidence. Jason Corbett died on 2 August 2015. Davidson County Sheriff’s Office deputies responded to a report of an assault at the Corbetts’ home at Panther Creek Court in Wallburg, North Carolina. The court also introduced several pieces of physical evidence, including the bat and cement paver that were allegedly used to kill Jason Corbett. In addition to those items, the jury saw cheek swabs and hair samples from Molly Corbett and Martens, the clothes both suspects wore the night of the incident and hair and blood samples from Jason Corbett’s autopsy. Email “Officer took photo showing strands of blonde hair intertwined in Jason Corbett's hand, trial hears”. Feedback on “Officer took photo showing strands of blonde hair intertwined in Jason Corbett's hand, trial hears”.